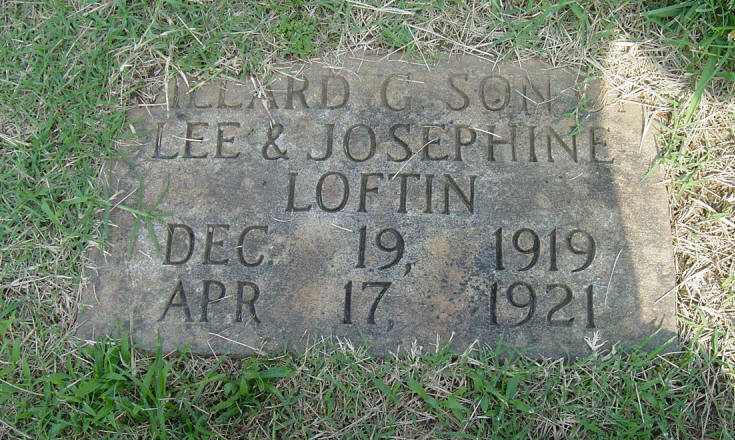 Willard Gilleland Loftin was the eighth child born to Arthur Lee Loftin and Alice Josephine Gilleland. He was born 09 Dec 1919 in Catawba County, NC. 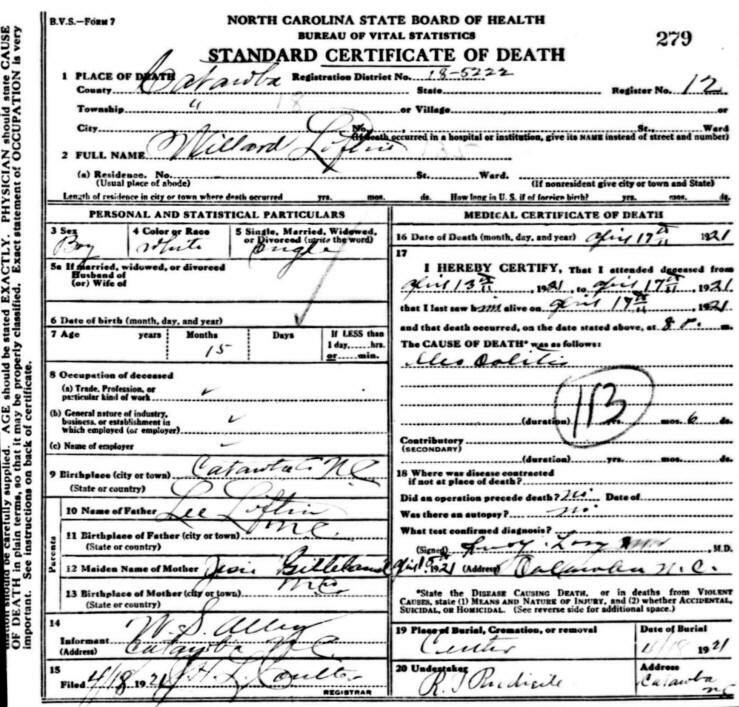 Willard died 17 Apr 1921 at the age of 1 year and almost 4 months (16 months) of what appears on the death certificate to be "colitis" - a swelling of the large intestine. If you have additional photos or information about Willard Gilleland Loftin, please contact me.